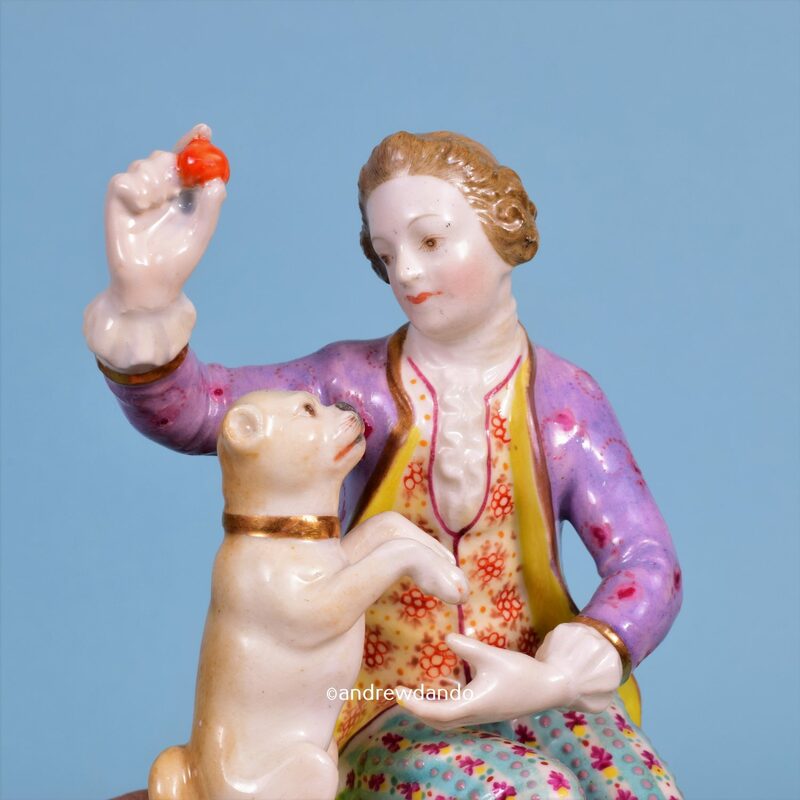 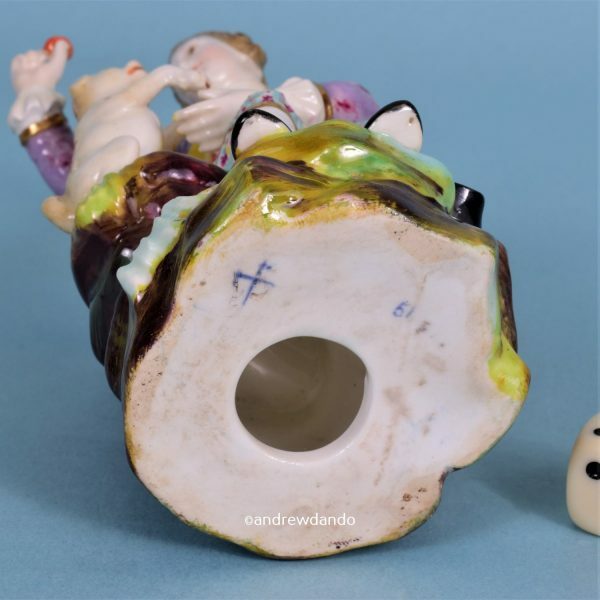 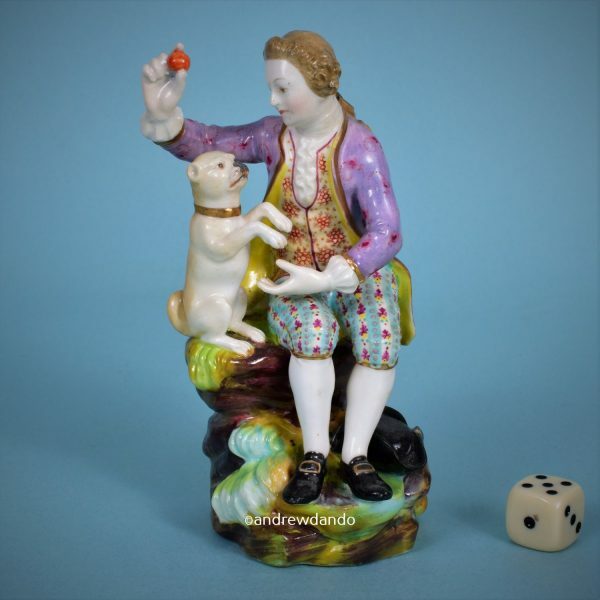 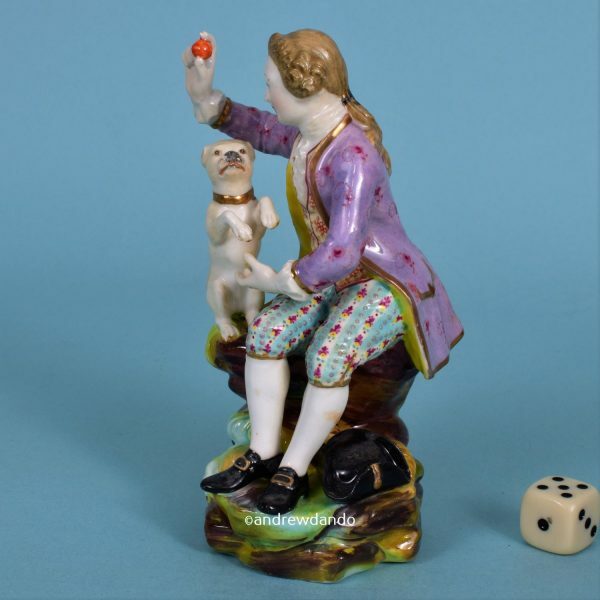 A good quality 19th century English porcelain figure of a seated man playing with a Pug dog. 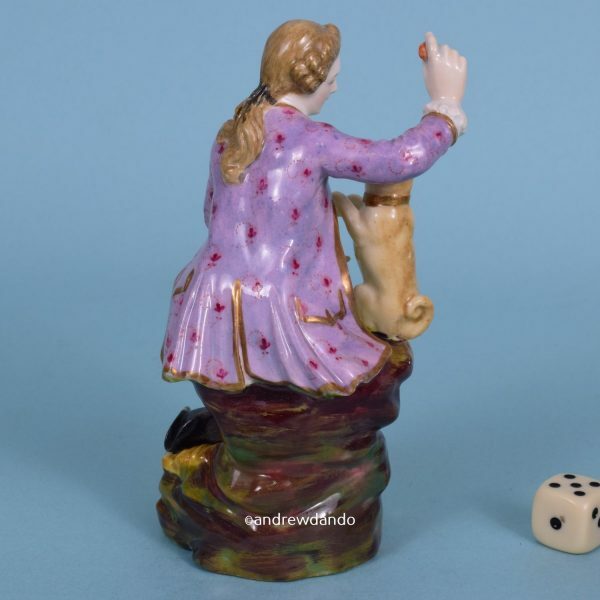 Mock ‘Meissen crossed swords’ mark in blue. Condition: Right hand is a replacement, no other damage or restoration.